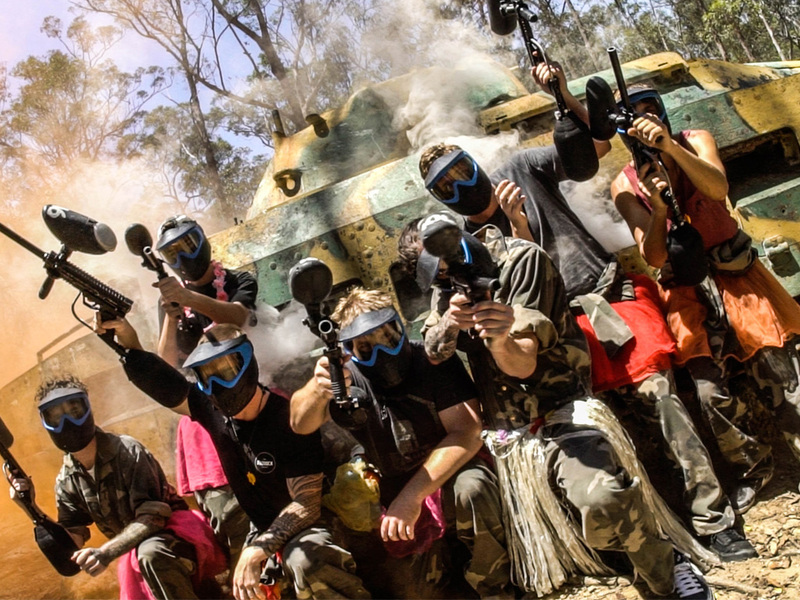 Skirmish Gold Coast is the ultimate outdoor paintball experience, perfect for adrenaline-charged bucks parties, birthdays or just a fun casual game with your mates. Booking online does not require payment or deposit. We play a variety of military-themed games such as capture the flag, tank attack on our massive outdoor field. Featuring real-life tanks, helicopters, forts, barricades, huts and strategically placed shortcuts through a bamboo forest, perfect for a surprise attack on the enemy. All of our games are fully inclusive and at no point are people eliminated and sitting on the sidelines. Come and join us for a military-themed outdoor experience. Rain doesn't stop us, so no matter the weather you are sure to have an awesome time! We have regular sessions 7 days a week.